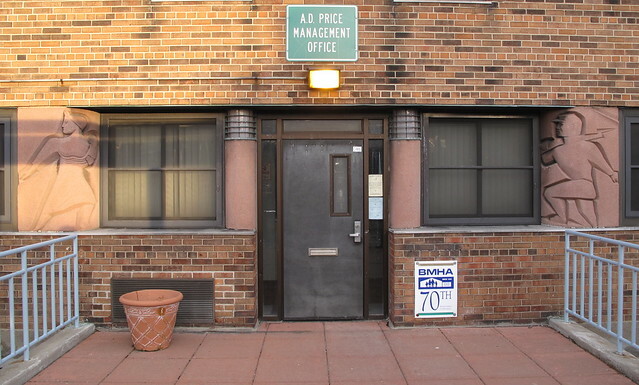 On Friday afternoon the Preservation League of New York State placed two significant East Side properties on the Seven to Save list of endangered places - 169 East Ferry and the Willert/AD Price Courts. Here's the League's press release. 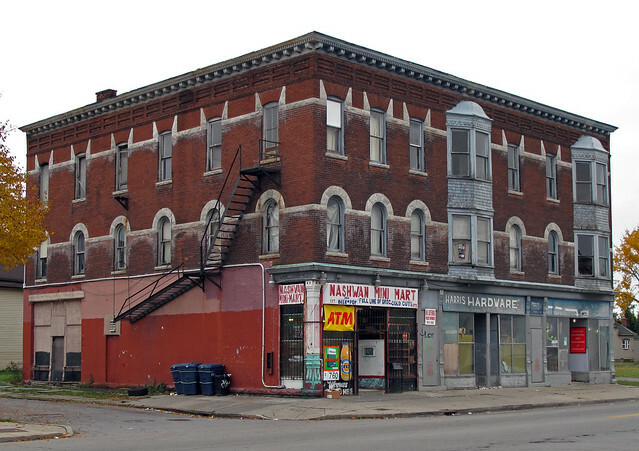 169 East Ferry is home to Harris Hardware, Buffalo's oldest black hardware store. Located one block from the recently renovated Performing Arts High School this magnificent building is locally owned by Glenn Banks (see above pic stream). The structure is an important landmark along a street that has seen dozens of mixed-use commercial buildings demolished over the years. It's directly across from this abandoned City-owned building. The Willert/AD Price Courts were placed on the local radar a year ago via a series of Buffalo Rising posts - here and here - about the threatened sculptural elements at the Courts. These sculptures adorn a uniquely Modernist complex that is home to the first housing project in New York State designed exclusively for African American families. Western New York Heritage magazine carried this article last Spring about the artists - Robert Cronbach and Harold Ambellan - and the significance of their work. Two of the most compelling Cronbach pieces, flanking the main entrance doors - here - depict an escaped and returning slave. Buffalo News reporter Mark Sommer wrote this article about yesterday's announcement by the Preservation League. The City's Bicycle-Pedestrian Advisory Board has issued the following statement (.pdf) regarding the Kensington feasibility study that's about to be funded. New York State Senator Antoine Thompson is driving the study and the emerging conversation currently does not include a third option. The two options being studied involve capping the Kensington. The first includes a raised cap and the second involves blasting through 4' of rock, lowering the expressway and installing a cap at grade. Both options involve capping an approximately one mile stretch of the Kensington from East Ferry to Best Street. Here's the podcast from the January 4th meeting where a representative from the New York State Dept of Transportation presented the first two options currently being studied. The New Millennium Group has provided an information sheet about the boulevard option. There's a precedent for removing highways. Here's a lesson from San Francisco. Let Antoine know what you think: 716-854-8705. Antoine's also on Facebook - here. The latest issue of Artvoice has this piece - Continental Drift: Is the Church Going South on Buffalo? - by Bruce Fisher. This is about the future of St. Gerard's and some of the broader cultural issues in play surrounding the plundering of Buffalo, NY. Is there a compelling public interest in preserving the artifacts and sacred sites of an ancient civilization? The United Nations answers that question with an emphatic yes. So does the United States when it comes to national treasures. And even if we don’t have a Japanese-style “irreplaceable cultural masters” program to support living folk artists, we do have aggressive enforcement of the National Historic Preservation Act and five or six laws focused on Native American religious issues, especially graves and sacred sites. The United Nations designates and supports world heritage sites, a majority of which are religious—cathedrals, monasteries, temples, even whole communities shaped by old beliefs. So it would seem that official respect for religious expression, especially in visual and plastic arts and architecture, is pretty well established policy. Tourists aren’t allowed to take a chunk of the Parthenon home with them anymore, unlike Lord Elgin...read the rest. Here's the additional background, with extensive commentary, from a USA Today article regarding the plan to demolish, move and rebuild St. Gerard's near Atlanta, GA. Two months ago Preservation Buffalo Niagara placed their imprimatur on the plan with this statement about the move to Georgia. Consider joining the Campaign for Greater Buffalo and support the landmarking of the City's architectural treasures, before they disappear. 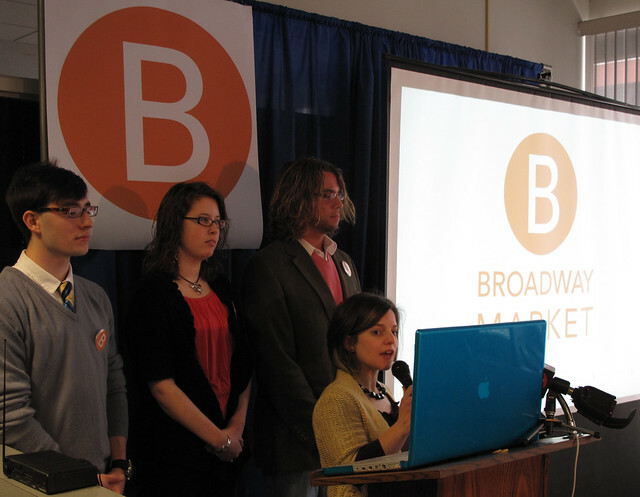 Design students from the Rochester Institute of Technology presented their recent work, a new singular vision for the Broadway Market, this afternoon. Working with Professor Alex Bitterman, 11 graphic and industrial design students captured the imagination of those attending with a set of refreshing interior and exterior proposals. Council President and Broadway Market neighbor David Franzcyk and Broadway Market Director Tom Kerr attended this afternoon's event. Here's the new look by day and night. The implementation of this new vision for an East Side landmark could be phased in over a number of years. Kudos to Professor Bitterman and his students for showing the way. 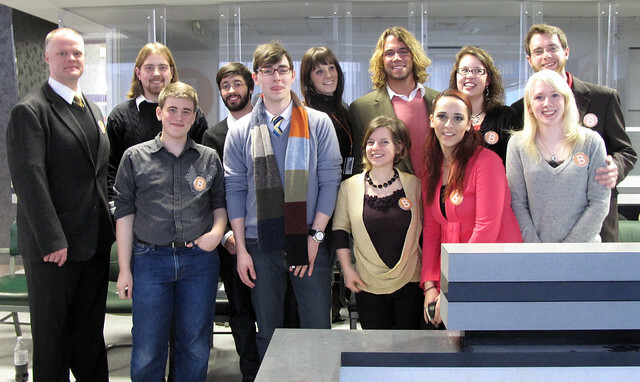 The full text and pics of the RIT/Broadway Market design initiative is available here (.pdf). update - 9:40pm - check out Alex Bitterman's site! Brian Meyer covered the story for the Buffalo News - here. 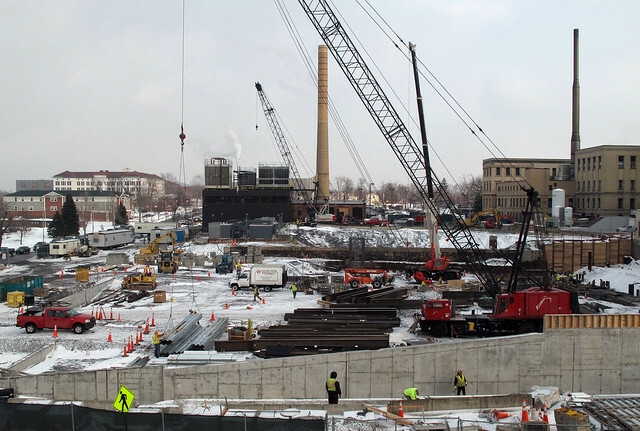 One of the largest construction projects ever undertaken in the City is well underway. This $500m project is the latest edition to the City's medical campus and and frames the southern portion of this neighborhood here at the corner of Ellicott and Goodrich. 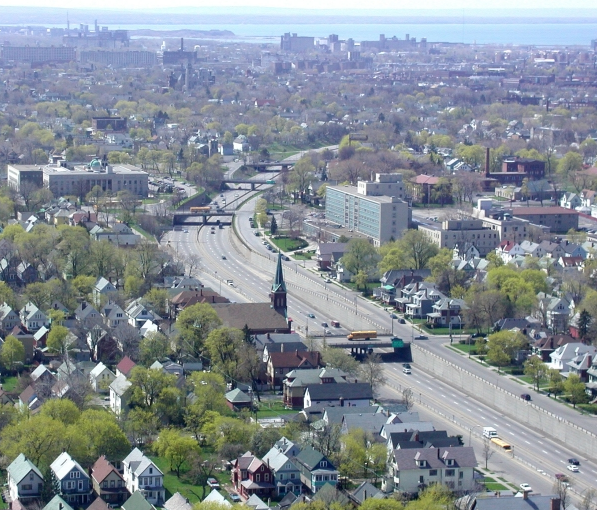 To the north is Canisius College and the City's largest preservation district - the Hamlin Park Preservation District. 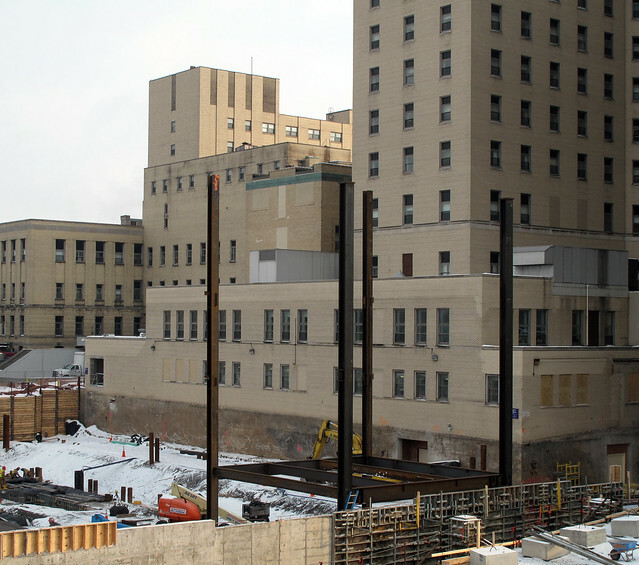 Late last week the building's structural steel frame was beginning to take shape. Just around the corner and sandwiched between the Medical Corridor and Canisius/Hamlin Park are two of the City's most significant development opportunities. 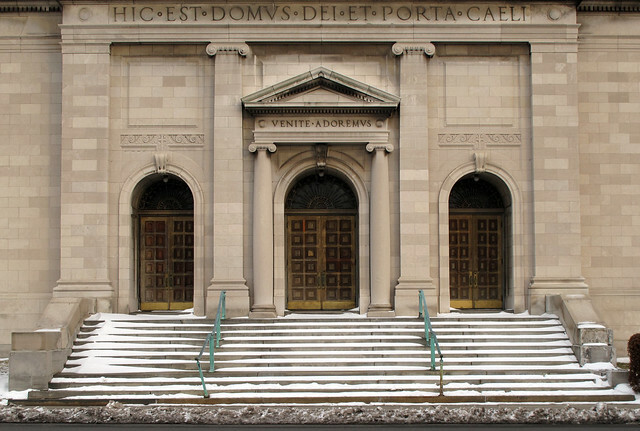 Lourdes church on Main Street and St. Vincent's Asylum are both located steps away from the area's unprecedented investment. While 'demolition by neglect' may be the only current plan, the future of both spaces remains uncertain. 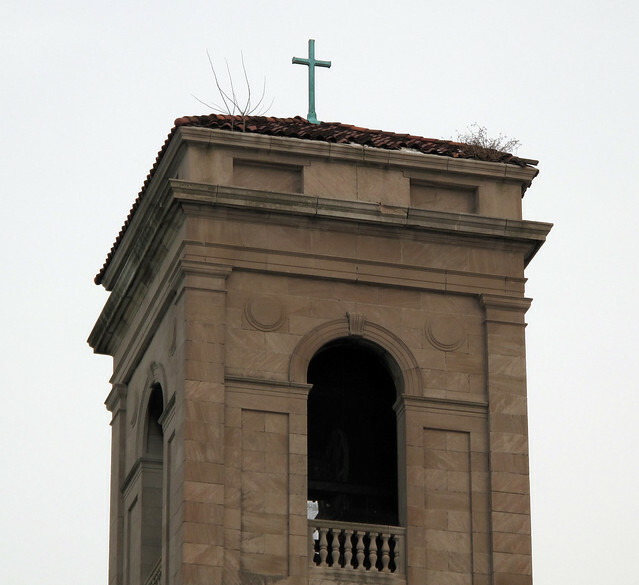 The erasure of the ecclesiastical monument, built in 1891 as the permanent house of worship for the parish founded at the site in 1853, was an act of vandalism against the public memory of the Hydraulics as Buffalo's first Irish neighborhood - later, a largely German and Polish neighborhood. 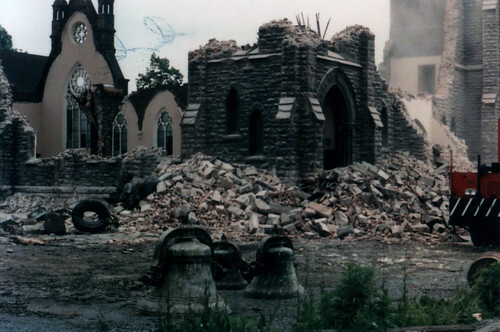 The memory of weddings, funerals, baptisms, many of the principal defining moments of the lives of the neighborhood's Catholic residents, disappeared as quickly as the rubble of the church's Medina sandstone walls could be carried away to the landfill. Chris has additional St. Patrick's demolition pics in his flickr stream - St. Patrick's demolition slide show. Buffalo Rising posted this yesterday about the St. Patrick's demolition. Wonder where it all goes...? This is an amazing building. Wonder Bread is an early 20th century, steel-reinforced concrete "daylight factory." The building's interior spaces are characterized by tall ceilings, large south-facing windows, and open layout to maximize the penetration of natural light. The exterior, faced in blond brick, does not reference its structural framing in concrete and is an ode to preceding 19th century load-bearing, timber-framed mill buildings. The windows at top are references to the Roman arch, a common feature of British and American mill buildings in the late 19th century. 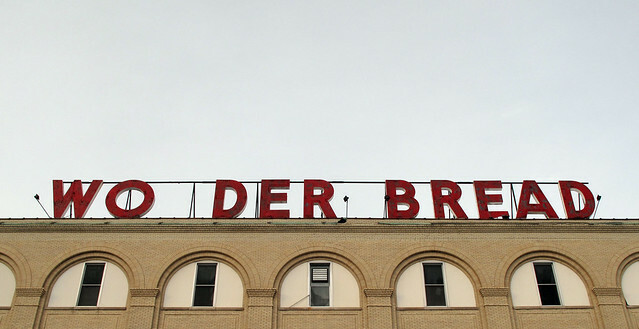 Pyramid Brokerage lists the Wonder Bread building - 313 Fougeron - for $800k. In other markets such a spectacular spot would be snapped up in New York minute. Two years ago Buffalo Rising took a close look at a business located at Wonder Bread. Here's that story with a few interior pics. This blog's focus has centered on a number of unique City-owned residential structures in the past few years - the Woodlawn Row Houses, 2 Girard, 16 Harwood Place and 194 East Utica. In additon, a number of religious buildings have been placed on the local radar, these include: the German Roman Catholic Orphan Home, St. Matthew's, Transfiguration and Sacred Heart. Occasionally I've posted about some of the East Side's threatened industrial treasures. The Wollenberg Grain Elevator was City-owned and had recently been listed on the National Register. It was demolished by neglect and burned during the night in October 2006. This year, in addition to the new City Abandoned series, a number of threatened industrial buildings on the City's East Side will be profiled. Meanwhile curious minds would like to know what happened to the missing 'N' - it was dangling by a thread last Friday. By Monday it was missing. Today, Buffalo's East Side and St. Gerard's Church are in the national spot light. Here's the USA Today story - NY Church's Move to Georgia: 'Preservation by Relocation'? Some, such as Preservation Buffalo Niagara, accept the move as a necessary evil; others oppose it as what Tim Tielman, director of the Campaign for Buffalo History, Architecture and Culture, calls "a demolition and salvage operation. They want to harvest our architectural heritage and put it in a box." David Franczyk, president of the Buffalo city council, has a message for the Georgia parish: "Build your own church. We have enough vacant lots." Two weeks ago a post about St Gerard's - Moving St. Gerard's South - introduced the suburban Atlanta parish's new website. You'll be able to observe their plans for dismantling, moving and reassembling of one of Buffalo's architectural and heritage assets. Some preservationist groups view the move as justifiable for lack of an alternative — "an odd-duck exception," says Henry McCartney, director of Preservation Buffalo Niagara. Others vow to fight. 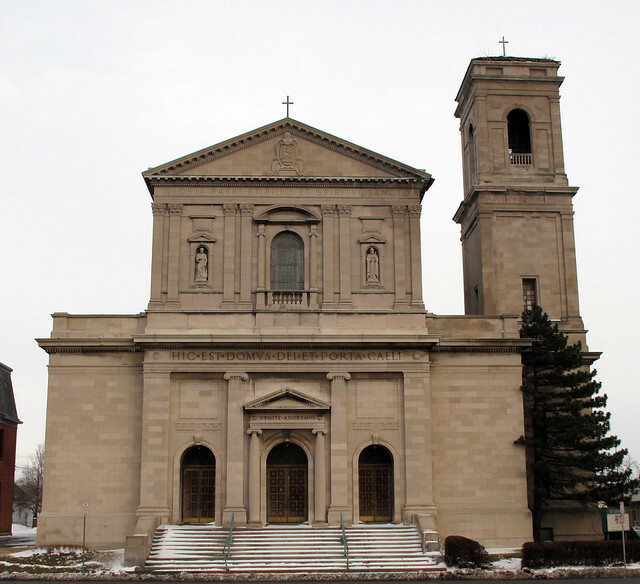 Tielman of the Campaign for Buffalo History says he'll try to have St. Gerard's designated a landmark by the Buffalo Preservation Board (the city's landmarks commission) to delay or block its removal. Among his arguments: The move would leave the neighborhood without its greatest landmark and the city without one of its architectural gems. With limited resources, what's a City and civic minded community to do? Two years ago the City's three leading preservation organizations - including the Campaign for Buffalo (Tim Tielman's organization) - commissioned a study about the state of preservation in the City. Here's that story from a post about another threatened heritage property and landmark, 16 Harwood Place. Consider joining the Campaign for Buffalo and support the landmarking of the City's architectural treasures, before they disappear. Update - 2/5/10 Buffalo News reporter Jay Tokasz has the following story about St. Gerard's in today's B/N. Update - 2/6/10 Buffalo Rising has the following story about St. Gerard's.